Sometimes too much of a good thing really is a bad thing. This is definitely true when it comes to overwatering your plants. Obviously, plants need water to survive, but some plants thrive on less water than others. While it may be tempting to give your plant a ton to drink, according to an article from Proven Winners, too much water is the leading cause of early plant death. The great thing about plants, however; is that they are excellent communicators. They show warning signs when they are not being treated properly. Let’s discuss the warning signs of overwatering and what you can do to avoid it. Wilting may be something you associate with too little water (and this can certainly be a sign of that! ), but the difference will be in the soil. According to an article from JAIN, if your soil is moist and yet your plant is wilted then most likely this is because it has too much water. 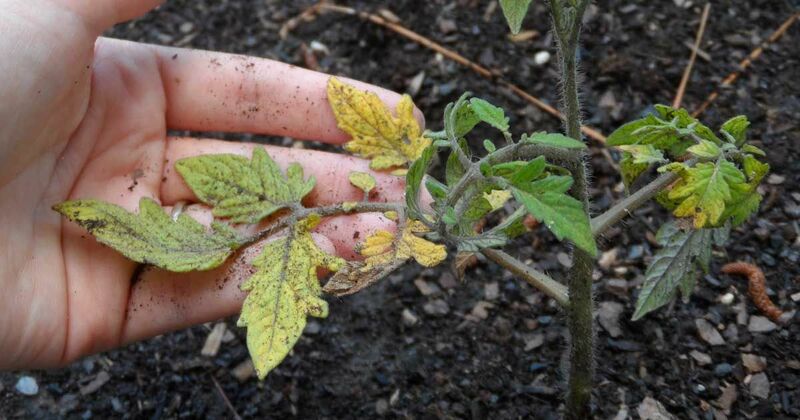 If your leaves are growing slowly and have a yellow tinge, then they are probably taking in too much water. Brown leaves can be a sign of too little or too much water. An article from JAIN indicates that the way you can tell the difference is how the leaves feel. If you aren’t watering enough, then the brown leaves will feel dehydrated and crisp. If you are watering too much, then the leaves will be soft and limp. Plants in a shaded area use less water. Even if the plant is a sun plant, you should move it from sunlight until the water situation is under control. Once it is stabilized, you can move it back to the sunlight. Make sure the pot can drain some of the water out. The idea here is to allow the water to escape as much as possible. You can create holes in the planter or repot the plant altogether. Allowing the plant to remain in standing water will significantly decrease its chances of survival. The plant’s roots need air. You can create air pockets by shifting the pot and tapping it on its side so that the soil ball is loosened. This will allow the roots the opportunity to receive much-needed air that was trapped by water. Avoid watering the plant until the ground is dry to the touch. Don’t allow the plant to get too dry as that can also kill it. You can opt to mist the plant if the leaves look brittle even if the soil is still damp. Make sure that you have an understanding of how much water your particular plant needs. Some plants need soil to be consistently damp while others thrive on a more sporadic watering schedule. If you don’t know, be sure to reach out to a professional who can answer your questions. Watering deeper into the roots will ensure that the plant is receiving adequate water without having to feel like you need to water each day. Mulch or compost can work as a drainage system for the plants. The surface of the soil always dries out first. To get an idea of how dry the soil really is, probe the soil and turn over a bit of it. If the underneath is still moist, then the plant does not need water. Young plants generally do require more water than established plants. However, be careful not to overcompensate just because they are the priority. However, young plants do not have a set root and will rely on surface water to thrive. Water is a good thing, but remember sometimes less is more. What tips do you use? Share with your friends to help keep their plants thriving!